They say moving is when you find out who your real friends are. If you’d like to spare your friends and family from the moving job, paid in pizza delivery, Delaware Moving and Storage stands ready as your local movers to pack and move you across the street, across town, or across the country. The average household has 300,000 things in it. That’s a lot of stuff. Typically, the average American will move about 12 times. 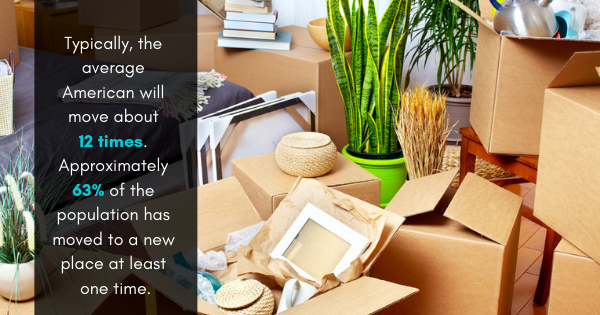 Approximately 63% of the population has moved to a new place at least one time. Just 37% don’t leave their hometown. The typical 30-year-old will make six moves. Renters move at a rate of 33% annually. The 2016 Current Population Survey Annual Social and Economic Supplement found that 11.2% of Americans moved between 2015 and 2016. 38% of business movers used moving companies; that number rises to 38% for individual movers. That’s a lot of moving. Delaware Moving and Storage anticipates your needs based on their experience, and uses it to offer individualized resources. They make use of leading-edge packing and moving equipment to ensure your move is as fast and convenient as possible. They won the U.S. Small Business Administration’s Family Owned Business of the Year Award. They also have an A+ rating from the Better Business Bureau and belong to the American Moving and Storage Association. They will come to you and provide you with an individualized in-home estimate and will give you an instant ballpark estimate online. This is a unique and very helpful feature as many local movers will only give a rough estimate after an appointment at your home. An important preparation step beyond the estimate is proper packing to ensure your belongings are efficiently and safely stored. Delaware Moving and Storage use door jamb and banister covers and places clean runners over your floors at both your current home and your new home. All of their moving vans utilize furniture pads, which safeguard items like wood furniture to keep them damage-free. They will even keep your painstakingly organized closet intact. Clothing that is on hangers is packed in wardrobe cartons, so that your clothes arrive at your new home ready to wear. 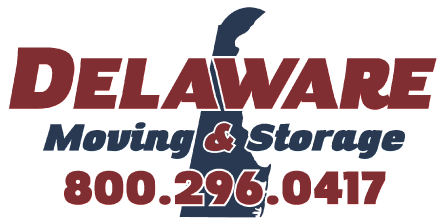 Delaware Moving and Storage offers more than 40,000 square feet of alarm-secured storage space for temporary storage, and for items that are only used seasonally. When you’re ready move, give Delaware Moving and Storage a call and you will be well on your way!